After weeks or months of searching, you’ve finally found the house you love. While it’s an exciting time, it can also be stressful because suddenly the home buying process gets serious. It’s important to be prepared if you want your offer to be accepted. Here’s what you need to know when you’re getting ready to make an offer on a house. If you’re serious about buying a home, you need to get pre-approved for a mortgage before submitting an offer. This is especially true in a competitive market where the seller may get many offers. Getting pre-approved shows the seller that you’re not just window-shopping – you are seriously in the market for a home. It isn’t always necessary to offer the listing price of the home. There are several factors that will weigh in on your decision. Find out what the comps are for the area, and seek advice from your real estate agent. It’s possible to get discounts on the selling price if you’re paying with all cash, if you limit your contingencies, or if the home has been on the market for a period of time. However, if the market is hot, you’ll want to make an offer for the full amount and do it as quickly as possible. In addition to the purchase agreement, you will submit earnest money when you make the offer. This is a cash deposit that is a sign of good faith. If your offer is accepted, the earnest money will be placed in escrow and used towards your down payment. This money is forfeited if you decide to back out of the agreement at a later date. Once the document is complete, your agent will submit the offer to the seller or the seller’s agent. The seller will have one of three responses: they’ll accept it, reject it, or make a counteroffer. 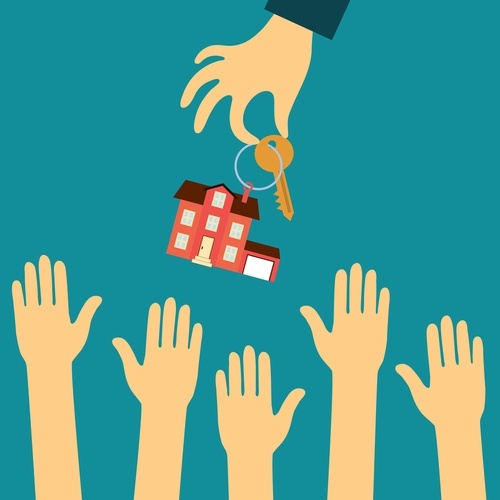 If a counteroffer is made, the seller will make suggestions about changes to the offer such as a modified sales price, date of possession, or removal of contingencies. Once you’ve received the counteroffer, you can accept it, reject it, or make a counteroffer of your own. This continues until either the buyer and seller agree on the terms of the sale or the offer is refused. Once the offer is accepted and both parties sign, it becomes a legal contract.